What is woman-­centred collaborative care? centre of your health care. plus the knowing and safety support of their trusted Obstetrician. supporting the decisions made by her. and given guidance should birth become more challenging. What are the main beneﬁts? in an environment of love and care. with all the love and respect they deserve. practice so far to implement it at The Sunshine Coast Private Hospital. 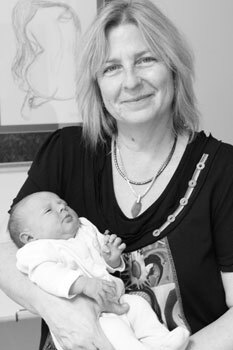 Dr Dana Moisuc is an Obstetrician and Gynaecologist. She is a fellow of the Royal Australian and New Zealand College of Obstetricians and Gynaecologists and Fellow of the College of Obstetricians and Gynaecologists of South Africa. 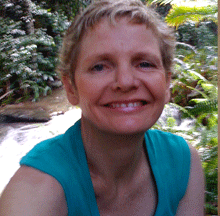 Dana has been working in her ﬁeld for over 20 years and lives on the Sunshine Coast. She has two grown‐up children. A midwife since 1983, Vicki’s experience varies from a big tertiary hospital, a small birth centre and Selangor Maternity Centre – all the while maintaining a busy private practice. Vicki has helped set up birth centres in Takeo, Cambodia and in the Kawangware slum of Nairobi, Kenya. Vicki has been invited to speak on matters of birth around the world. She is a passionate advocate for the birthing woman and is devoted to seeking, sharing and facilitating ways to better birth. Vicki is a devoted and busy mother of four.